QuickField is a free Electromagnetic Field Simulator Software for Windows. Its free version has been designed for electrical students. The purpose of this simulator is to design or import electrical designs and then simulate and study their electromagnetic field. It is an extensive software with its functionality limited in the student version. The pro version of QuickField is way more extensive, specially designed for scientists and researchers. To find out how an electrical student can exploit this software, let me give you a quick overview. In the following article, you will know what it is capable of in terms of editing, simulation, etc. You will also know, what all drawing formats you can import here, along with the list of supported formats to export drawings. You may want to checkout these Free Electrical Diagram Software for Windows. This software lets you create models as Problems, which you can simulate. You can begin with creating a new Problem or load an existing Problem file. To make things easier for you, this Electromagnetic field simulator comes with pre-loaded samples. To get you used to this software, you can load and work around with these models. You can directly begin the simulation or edit a model and then simulate it for electromagnetic fields. In the Problem menu, you just have to select the Solve option to begin the simulation. Apart from Normal solve option, there is a Solve and Refine option as well, which refines your existing model for stability. You can also solve/simulate multiple problems that are open in this software’s window. Talking about its editing features, you can add vertices to a model, build mesh, add nodes, insert shapes, edit circuit, and do much more. For better and symmetrical editing, grid has been provided in the work area. You can use the Zoom In and Out buttons to monitor your model easily. The 2D / 3D toggle mode can be really helpful while simulating 3D shapes here. The best part about this software is its integration capability. You can integrate it with SolidWorks to import SolidWorks designs directly to this software. After that, you can simulate that diagram here for electromagnetic waves. You can do all of this with multiple models at a time. You can open, edit, and simulate multiple models at a time in separate tabs. Import Options: Geometry Model 2D, Geometry Model 3D, Electric Circuit, Physical Properties of a model, ad DXF files. 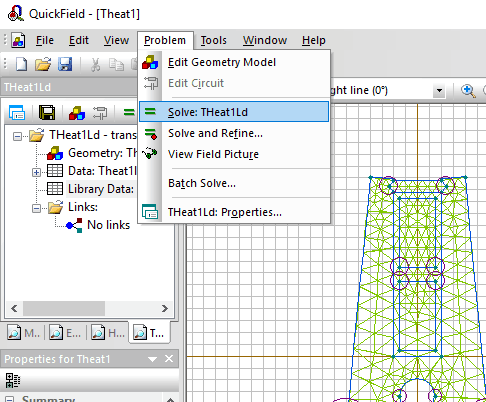 Export Options: DXF, TXT (mesh data), and model as image. There are some extra features in this field simulator software that can be helpful to an electrical student. 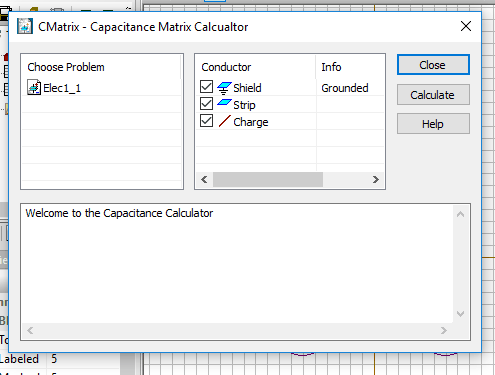 For example, this Capacitance Matrix Calculator. Another tool available here is Parametric Analysis with LabelMover. You can even add more Add-ins to this software to extend its capabilities. Go to the Tools window to find Add-ins option. That’s pretty much about this electromagnetic field viewer software in brief. To take a more careful look, you can visit its website which I will mention below. Remember, before downloading the free student version of QuickField, you will need to fill a form with information such as name, institute, purpose of download, etc.